Not everyone with long hair is a whiz at twists, updos or braid hairstyles -- some of us just aren't good at keeping our arms up that long, or working with backward mirror reflections! The answer to this problem is the reverse braid; a braid that is created in the front, then flipped over the head to the back. The result is "a cross between a mermaid braid and a skeleton braid," says Mindy McKnight, mother of six (including the video's model, Kamri) and braid artist. Because the braiding is done in the front, it is great for those who have trouble working on the back of their head. Watch the video below for guided instructions in creating this gorgeous hairdo. 1. Part hair down the middle and bring to the front of the shoulders -- the result should be the left half of the hair lying over the left shoulder, and the right half of the hair lying over the right shoulder. Leave about an inch of temple hair in front of the ears, and tuck the rest behind them, including hair originating above the forehead. 2. Bring the temple hair forward and divide into three even sections, with the middle section comprised half of left-side hair and half of right-side hair. 3. Cross the sections over each other in a Dutch braid pattern, making sure that there is enough space to flip the braid over the head later. 4. Continue braiding in the Dutch style, adding sections of hair from the left or right side as appropriate. 5. 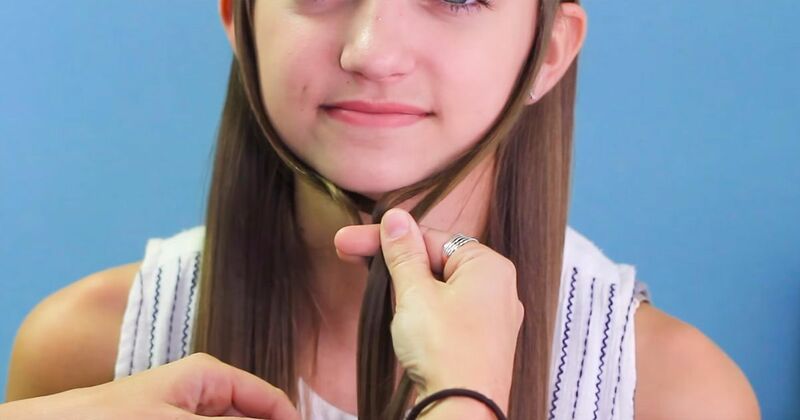 When all hair has been gathered into the braid, continue with a regular three-strand braiding technique until you reach the end of the hair length. Secure with an elastic band. 6. At this point, the braid should look similar to a long beard. Grasp braid with both hands and flip it over the head to fall down the back, taking care not to catch hair on nose or ears. 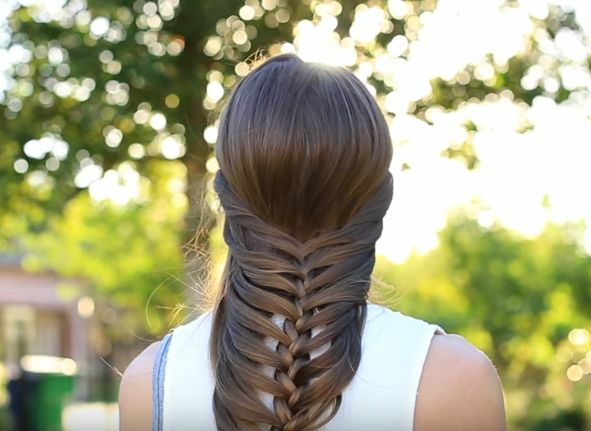 Play with this braid to come up with variations; try braiding off to the side instead of straight down to create an angled effect, or tucking the tail under the Dutch braid and pinning it to the back of the head with a pretty clasp!